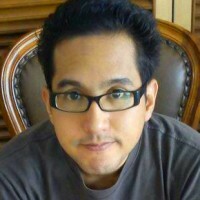 Previously I have written about how Google Plus is a very powerful tool when it comes to getting traffic and exposure. Not only referral traffic mind you, promoting content on Google Plus can also increase organic traffic to your site. While there are tons of cool stuff on Google Plus that separates them from other social media platform, what really makes Google Plus awesome, is the Community feature. 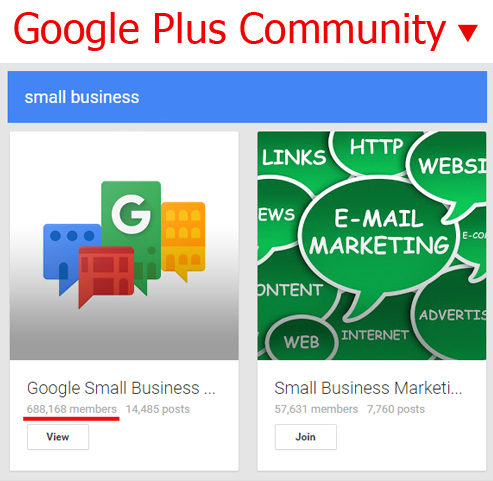 Why Use Google Plus Community? Groups or communities are not unique to Google Plus. Other social media platform such as Facebook or LinkedIn include them since ages. But honestly, they pales in comparison to what Google Plus have to offer. While constantly being a joke on the internet, Google Plus in fact, have the most active and vibrant communities among all social media platform. You can easily do your own comparison. 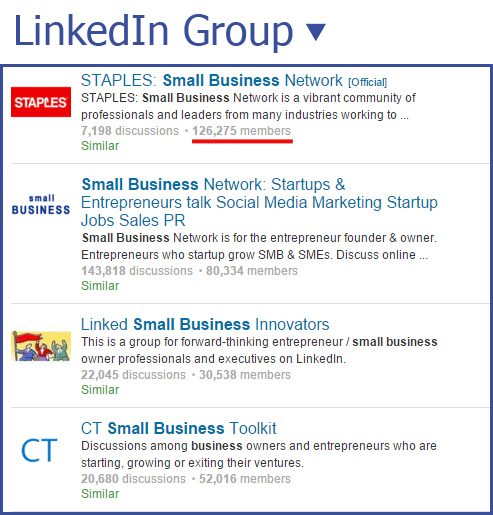 Do a search on each social media group function (Communities in Google Plus, Groups in Facebook or LinkedIn). 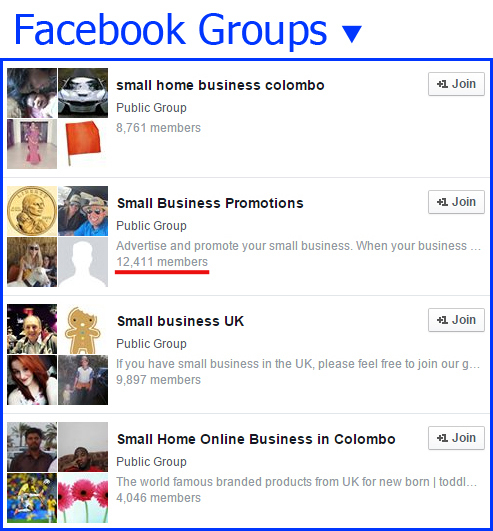 Facebook Groups have it worst, with a dated interface design and close to no interaction among group members. They are mostly used only for day-to-day discussion among a group of friends – a function that is taken over by a more fluid messaging app abundant in the market today. Average group size is horribly low. LinkedIn Groups fares better than its Facebook counterpart. They are very professional and top groups in a category sports quite a high amount of membership. But the problem is, they tend to be “owned” by specific companies. Even though the group might be about an industry in general, it’s hard to believe that it will be a neutral ground when you have a company name and logo representing the group. This is where Google Plus Communities shine. You can search for any niche and there are tons of communities with membership ranging in hundred of thousands. 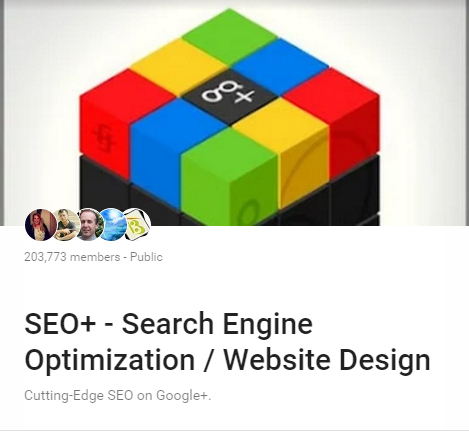 Top communities in Google Plus have millions of members and they actively share and discuss related topics daily. You can both learn lots of new stuff by joining communities related to your niche, as well as use them as a content promotion platform to share your own contents. Sharing high quality contents and answering queries can be very helpful to other community members. Plus, you can also drive more traffic to your website. It’s a win-win situation! Now you might be wondering where you should start. While number of members is a good indicator of the quality of a community, it’s not the only aspect that matters. A community can have many members but that doesn’t guarantee you’ll get a lot of engagements. 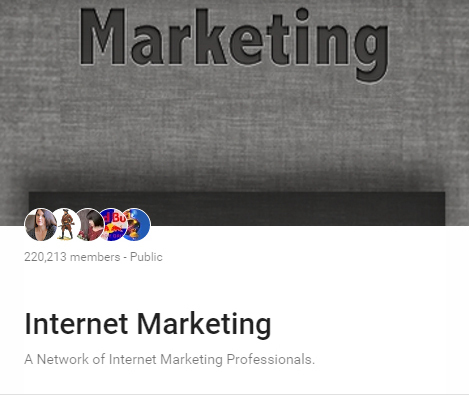 Dwelling in Google Plus for quite some time I manage to identify some of the best groups any marketers should know. They both provide quality information that can immensely help and they also react positively to quality contents of your own. Categories: Introduce Yourself, Getting Found Online, Building Relationships, Running Your Business, Working Smarter, Highlights. 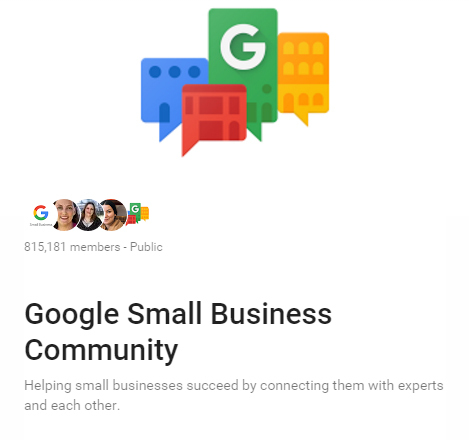 A very versatile and well-moderated community, Google Small Business Community (or GSBC for short), populated by online marketers as well as small business owners. The moderating team are very active – Not only at moderating contents but also at starting discussions, doing weekly reviews and interacting with other members. The community are also active outside of Google Plus. They hold events, seminars and recently they started an Expert Advisor program where industry experts can volunteer as community advisors to help provide contents more regularly and answer queries from businesses that needs them. Business owners have the chance to introduce themselves and their business as well as request marketing assistance. Marketers have the opportunity to share their insights as well as study marketing application in different type of businesses. Categories: SEO Community, Search Engine Optimization Tips, SEM – Search Engine Marketing, Mobile SEO, Author Rank – Authorship, Google, Google Webmaster Tools, Local SEO, Google+ Tips, Google Analytics, Google Places, Blogging for SEO, Digital Marketing, Social Media Marketing, Web Design, Responsive Web Design, Content Marketing, SEO/Tech Humor, PPC/Google Adwords/Advertising, Semantic Search/Web/SEO. 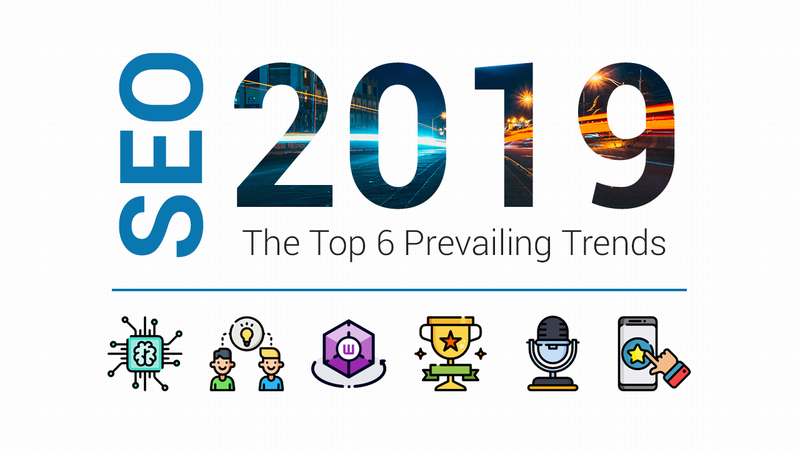 As you might have guessed by the post categories, this community is the place for advanced and technical SEO subjects. SEO+ covers everything regarding SEO, digital marketing and web design. This community is managed by its owner – SEO who moderate and share posts. You can often found SEO actively dropping +1s and sharing good posts from the group in his/her personal profile, which have close to 100 thousand followers. While you can get the best information, exposure and engagement from the community, they do come with strict rules and shares are constantly being monitored and enforced. 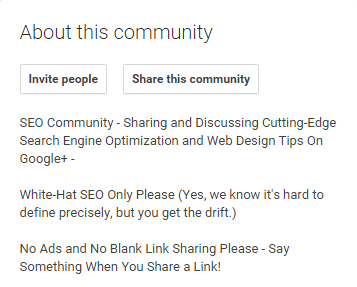 Not only you have to consider quality and non-spammy contents, you should also refrain from sharing things already shared on multiple other Google Plus Communities. Also avoid oversharing too much contents in a short amount of time. The owner tracks poster IP address so attempting to use different accounts to spam will lead to bans. Categories: Introduce Yourselves, General Blogging Discussions, Blogging Tips, Content Strategy, Google Blogger, WordPress, SEO. Like the name implies, this community is mainly about bloggers, both professional and casual. 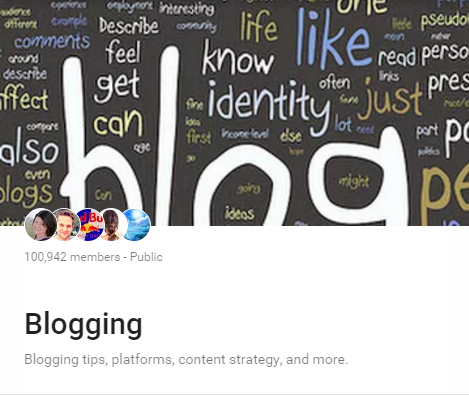 While including topics like SEO, Content Strategy and Blogging tips, the members mainly talks about more blog-related topics such as platform-specific issues, blogging in general and also take the opportunity to introduce their blogs. Categories: Introduce Yourself, Discussion, News, Content Marketing 101, Content Strategy, Google+ Related, Other Social Media, Blogging, Copywriting, Mobile, SEO and Content Marketing, Ask a Question, Community Announcement. 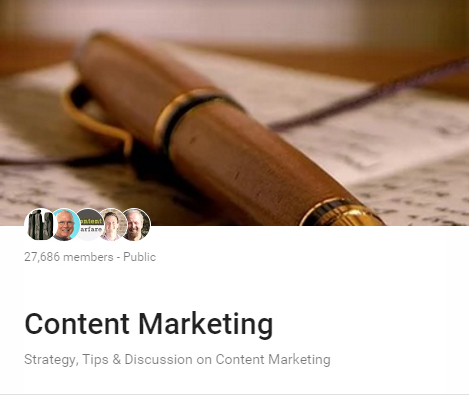 The community aims to discuss about content creation and how to utilize them for marketing. Despite having considerably lower amount of members compared to previous communities, you can still get a decent amount of interaction. Content Marketing doesn’t really have highly strict rules, although it is advised to interact with others, not merely dropping links, don’t overdo it and share helpful stuff, even if it’s not yours. Promoting your own business or products are totally off-limits. Categories: General, Introduce Yourself, Advertising Tips, Analytics Tips, Branding Tips, Digital Marketing, Email Marketing, General Discussion, Help and Tips, Jobs, Just For Fun, Local Optimization, Mobile Marketing, My Services, PPC/AdWords, SEO, Social Marketing, Tools and Software, Web Design, Looking for Affiliates. This community covers a wide range of topics related to internet marketing including SEO and social media marketing. Despite having quite a high member count, interactions within the community is a tad unstable. Sometimes you get a lot of it, sometimes it can be quite silent apart of link droppers. Nonetheless, you can find quite a diverse content related to content marketing inside. While the moderators take care of spams once in awhile, they don’t often post or interact with other members. 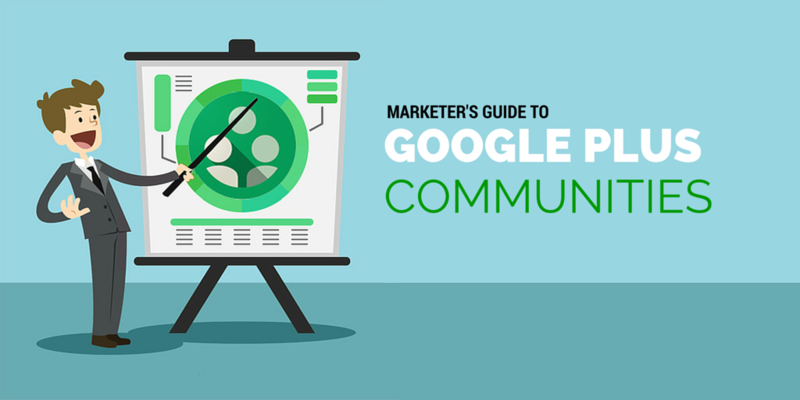 If you haven’t explored Google Plus Communities yet, it’s a good time to start. Start from these 10 examples, then expand to communities closer to the niche you’re targeting.